SAN JOSE — Though formal citizen complaints against the San Jose Police Department continue a steady downward trend, more officers are being disciplined for misconduct than at any point in the past decade, according to a new report from the city’s primary police watchdog. Citizen complaints made to police or the civilian Office of the Independent Auditor totaled 222 in 2017, down 24 percent from 292 the year before and 38 percent less than the 357 in 2013, according to the IPA’s annual report. Grievances about arrests and use of force are also sharply down from previous years. The percentage of citizen complaints validated by police in 2017 was 16 percent, the highest rate since the oversight office was established in 1993, according to the IPA report. The vast majority of those allegations involved procedural and conduct violations. And, for just the second time in SJPD history, police substantiated a bias complaint filed last year against an officer, the new report revealed. But unlike the first case in 2015, the new instance involved a racial element, specifically an officer “using several unflattering racial stereotypes related to Asians” while responding to a landlord-tenant dispute. Police also found that the officer denied the landlord — who is Vietnamese — an impartial translator. Overall, the IPA agreed with police on 83 percent of the complaint resolutions that internal affairs investigators reached, and 73 percent of complaints involving force. A key disagreement brought into focus by the IPA report was a use-of-force finding indicating white suspects who resisted police were more likely to end up with no charges filed against them, and that of all suspects who were not charged after a confrontation, white suspects invariably were taken to psychiatric care as opposed to minority suspects who were taken to jail. That particular finding was reached using the SJPD’s new public online use-of-force data dashboard, but Garcia contested the methodology, and said the conclusion was drawn from a sample size of fewer than 10 cases. Garcia also said it was based on a superficial examination of data and did not consider other reasons that would provide context like how those sent to the hospital exhibited psychiatric distress. Garcia recalled how critics devalued a report based on the initial dashboard data that found no significant racial disparities in SJPD’s use of force, based on concerns about the data being single-sourced from officer’s reports. If that’s the case, he said, it would be hypocritical to use it to prove a less-favorable point. Zisser acknowledged there should have been a disclaimer about the sample size for that segment, and called for more data access for his office and the community. Andre Chapman, CEO of Unity Care and founder of the Black Leadership Kitchen Cabinet of Silicon Valley, voiced concern about the reliability of the data points used, but stressed the broader tendency of minorities to be treated like criminals rather than someone in a mental-health crisis. Chapman added that SJPD is further along than other police agencies in recognizing this issue . “They’re on the right road, building a culture around community policing and how people are valued,” he said. Paul Kelly, president of the San Jose Police Officers’ Association, contends the report did not adequately recognize the department’s progress. 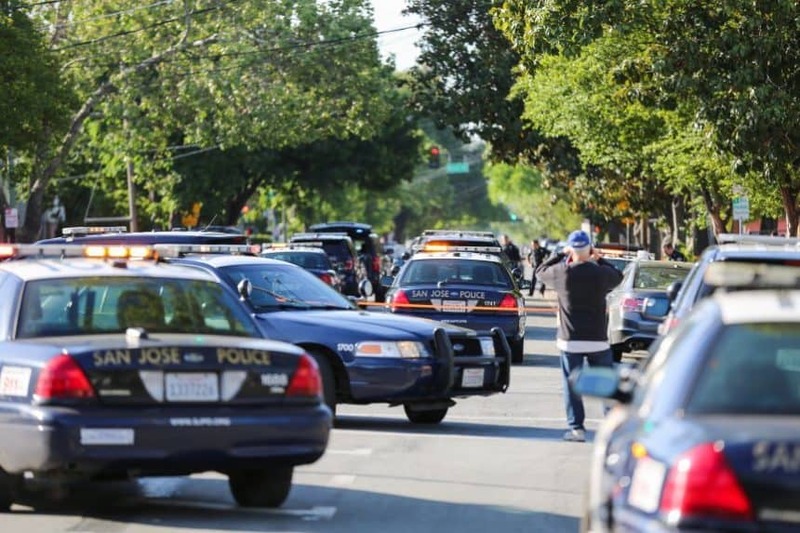 The IPA report also drew attention to how six of the eight officer-involved shootings in San Jose in 2017 involved someone with a mental illness, and three of them died. Mirroring a Santa Clara County civil grand jury report last week, the IPA’s office recommended officers undergo “refresher” courses in crisis training; whenever possible, bring severely distressed people to emergency psychiatric care rather than jail; and in cases when a struggling person doesn’t qualify for such transport, direct that person to mental-health resources. “It’s very troubling to see people in crisis get shot by police. I have a great deal of sympathy for the officers, and it’s hard to see people get into these situations,” Zisser said. SJPD is currently providing crisis-intervention training to every officer in its 1,000-plus police force and will soon have county-staffed field therapists clinicians available for critical incidents. Garcia agreed with an IPA recommendation to begin issuing annual public memos outlining lessons learned from officer-involved shootings, and any significant changes to training, tactics and equipment. Also released along with the IPA report was the police department’s annual report on department-initiated investigations, which covers complaints made against police officers and staff from within the agency, and are not subject to IPA review. In 2017, the police department received 35 such complaints against sworn personnel, down from 43 the year before. Of the 78 allegations investigated — a complaint can contain multiple grievances — 60 percent were affirmed by internal affairs. Most of the violations involved procedural rule-breaking and “conduct unbecoming of an officer,” a term used to that cover ethical violations. Discipline mostly involved counseling and additional training. A reserve officer was reprimanded for improperly using force when he put his foot on the back of the neck of someone he detained. Another officer was punished for calling in sick to attend a party where illegal fireworks were set off; and another consumed illegal drugs and lied about it to internal affairs investigators. One incident that was classified as a procedural violation involved an officer firing his service weapon at a vehicle. It was not deemed a force violation because the use of force was not unlawful, but defied department policy, Garcia said. And in an era of heightened awareness and advocacy for reporting of sexual and domestic violence, the IPA report called attention to SJPD’s understaffed family violence unit, which consists of a sergeant and two officers in a city that sees more than 3,000 domestic-violence reports each year. Councilwoman Sylvia Arenas flagged the issue at a recent city budget study session. “The (IPA) report includes data that shows sexual assaults have doubled in the last 10 years, a statistic that concerns me to the point of submitting a budget document to move police department personnel resources to the sexual assault unit,” Arenas said in a statement. What all sides seem to agree on is how many of the shortcomings in police services are a function of staffing, as SJPD climbs out of a decade that saw the department shrink by a third.